Affin Hwang Capital is the brand name of a specialist Malaysian-based investment banking group, formed in September 2014. Affin Hwang Capital provides capital markets advisory and execution services in investment banking, institutional and retail securities, and asset management. The group is composed of two core entities, Affin Hwang Investment Bank Berhad (investment banking and securities) and Affin Hwang Asset Management Berhad (asset management). It is among the largest brokerages and asset managers in Malaysia. Affin Hwang Investment Bank Berhad is a fully owned subsidiary of Affin Holdings Berhad, a financial services conglomerate, which is listed on the Bursa Malaysia. Affin Hwang Capital has a partnership with the Japanese investment bank, Daiwa Securities Group. The business has primary offices in Kuala Lumpur and Penang. As of September 2014, it employs over 1,300 people. 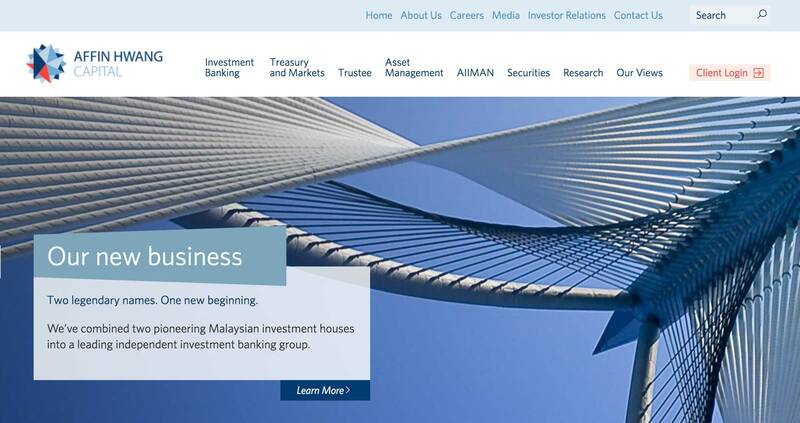 E-SPIN business with Affin start as early as 2007 known as Affin Investment Bank.